Raul Mondesi was a Lexington Legend in 2013. Former Lexington Legend Raul Mondesi could become the first player in history to make his major league debut in a World Series game. 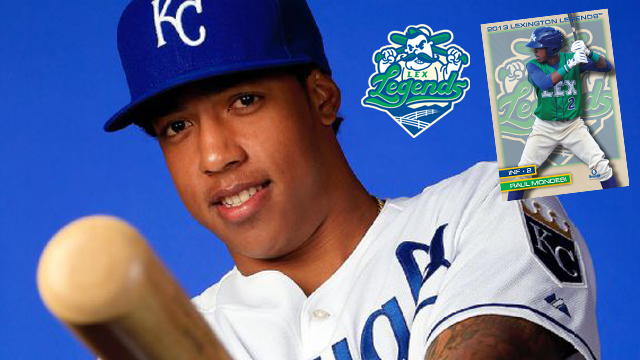 Mondesi, a Legend in 2013, was named today to the Kansas City Royals' 25-man World Series roster. He replaces another former Legend, outfielder Terrance Gore, who also played for Lexington in 2013 and saw action for the Royals in the 2014 World Series. Gore was on the Royals' roster for both the Division Series and the American League Championship Series. Ben Zobrist, a Legend in 2005, has been a regular in the Royals' lineup, mostly at second base, since being acquired in a trade with Oakland July 28. He is expected to continue in that role in the Series against the New York Mets. This will be the second World Series for Zobrist, who played in the 2008 Series for the Tampa Bay Rays. Mondesi signed with the Royals on his 16th birthday, July 27, 2011, and was still just 17 when he began the 2013 season with the Legends. He was the youngest player in the South Atlantic League at that time. In 125 games for the Legends, he batted .261 with seven home runs and 47 runs batted in. He stole 24 bases in 34 attempts. On May 27, 2013, Mondesi became the second Legend to hit for the cycle. In a 7-4 win over Kannapolis at Whitaker Bank Ballpark, Mondesi homered, tripled and singled batting left-handed, and completed the cycle with a sixth-inning double while batting right-handed. The only other Legend in the team's 15-year history to hit for the cycle was outfielder Jordan Parraz, who did it July 26, 2007, in a 14-inning game against Lakewood. Mondesi was a late addition to the South Atlantic League mid-season All-Star game in 2013, and had two hits in two at bats in the game. Mondesi, hit .243 in 81 games for double-A Northwest Arkansas this season. He stole 19 bases in 25 attempts. Zobrist, a Legend in 2005 when Lexington was in the Houston Astros' organization, batted .284 in 59 games for Kansas City during the regular season with seven home runs and 23 runs batted in, and has been the Royals' starter at second base throughout the postseason. In postseason play, he is batting .326 (14 for 43) with two homers and six RBI. Zobrist batted .304 with two homers and 32 RBI with Lexington in 2005. 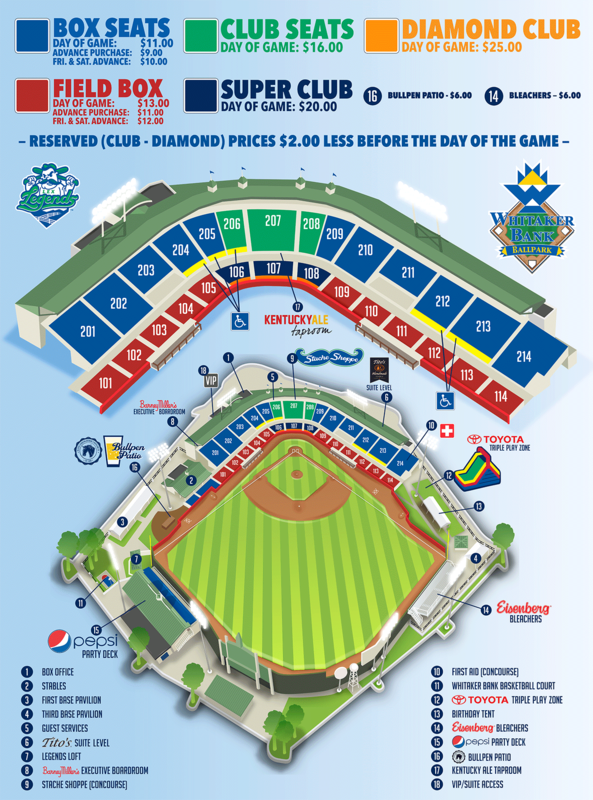 "We saw Raul Mondesi's potential when he was here two years ago," said Legends President/CEO Andy Shea. "Now he could make history by breaking into the majors in the World Series. Ben Zobrist continues to demonstrate the class and consistency he showed here in 2005. He's been a great addition to the Royals. And though he's not on this World Series roster, there will be more great moments ahead for Terrance Gore, who was outstanding on and off the field when he was a Legend."